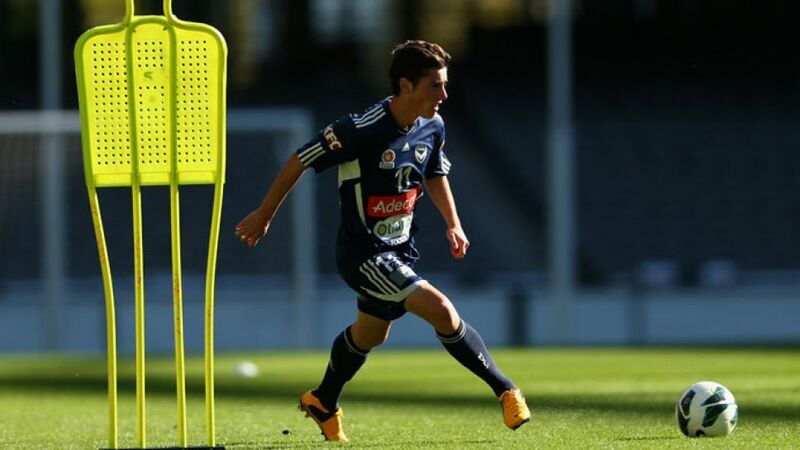 Munich - Quick, composed and a serious threat in front of goal - these three attributes best describe New Zealand’s hottest prospect, Marco Rojas. Numerous top European clubs, including Liverpool FC and Juventus, were keen on signing the forward, but it was VfB Stuttgart and the Bundesliga which tempted the 21-year-old in the end. Marco Rodrigo Rojas was born on 5 November 1991 in Hamilton, around 75 miles south of Auckland. In 2003, he embarked on life at the ‘Wynton Rufer Soccer School of Excellence’, enjoying an ideal football education in his early years. After a season in the Northern League, the highest regional division on New Zealand’s northernmost island, the talented youngster joined local rivals Waikito Football Club in the top flight of the national New Zealand Football Championship. At the tender age of 16, Rojas held down a regular starting berth in his first campaign, playing a part in 13 of Waikito's 14 matches. His strong performances caught the eye of Wellington Phoenix, currently the only New Zealand side to participate in Australia’s A-League, and they invited him for a trial. The then 18-year-old impressed immediately and put pen to paper on his first professional contract. Rojas' first season for Wellington was all about learning the ropes and the man who has since been capped 14 times by the ‘All Whites’ played only a handful of times. However, he then made the move to Melbourne Victory for the 2011/12 season and really made a name for himself, earning 15 starts from 24 appearances in total. The Kiwi made a real breakthrough last term, netting 15 goals in 27 matches and creating eight more. His outstanding performances earned Rojas the ‘Johnny Warren Medal’, which another former Bundesliga player, Thomas Broich, won the previous year as Australia’s Footballer of the Year.